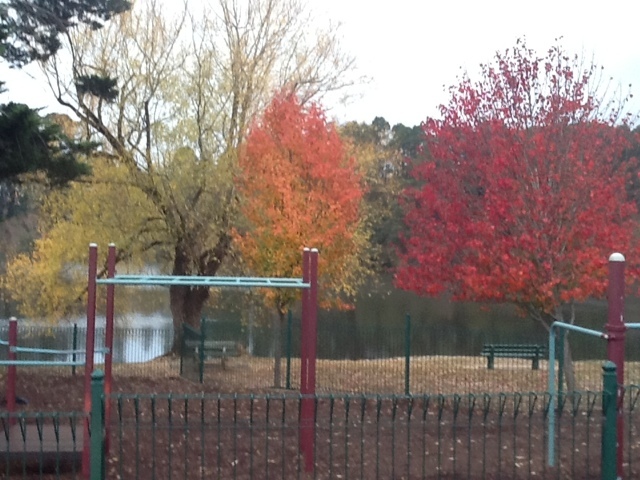 Views of and across from the school. 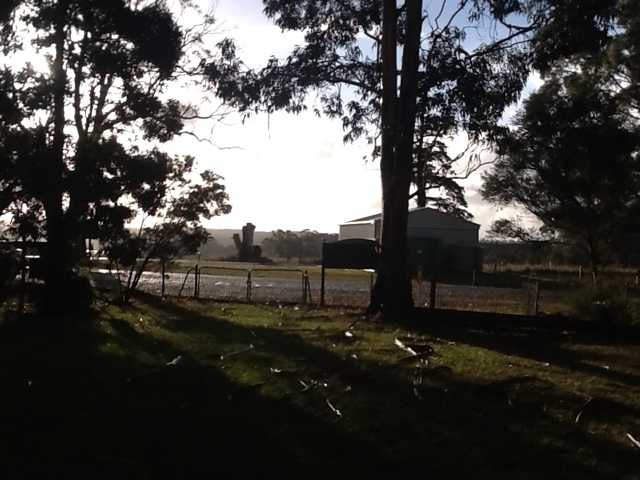 The entrance of our school and the field across the road from our school. 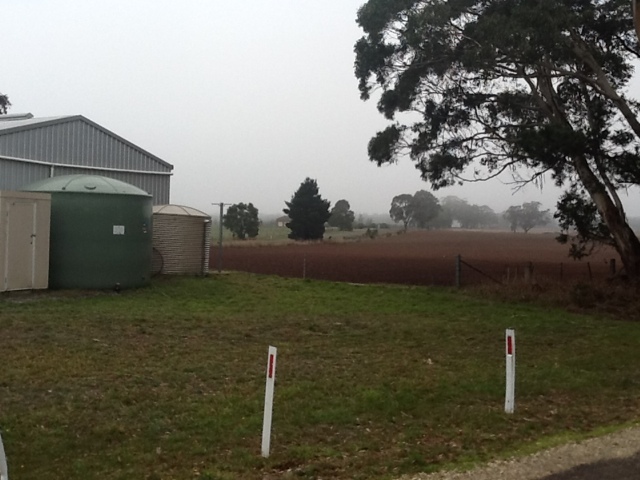 The shed is for the CFA ( Country Fire Brigade) who are local volunteer fire fighters.Potatoes are grown in the field across the road and sometimes next door to the school. We've finished Treasure Island ( one student is currently reading Kidnapped) and we have almost finished The Wreckers ( Part of a swashbuckling trilogy by Iain Lawrence which I would heartily recommend) and we will read The Moonfleet starting next week. As a consequence we are having fun with some pirate art.We completed Pirate faces ( Refer to the photos) and today we started creating our pirate flags. 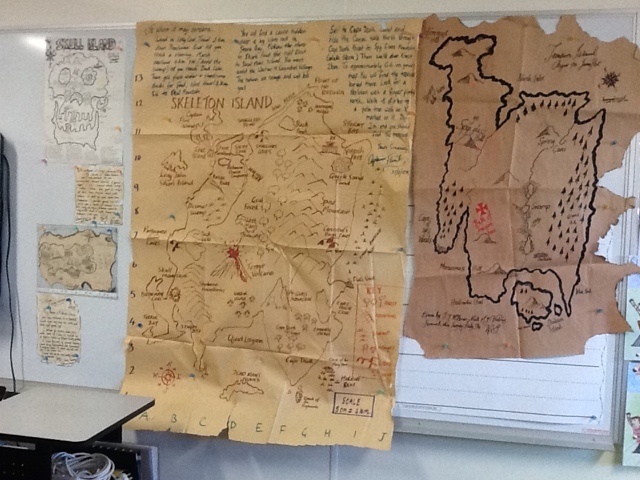 'Black spots' and pirate maps will follow next week. The pirate faces were really easy to create. the children just folded up a pirate hat using A3 card and then created a big pirate like face on A4 card. Feathers, scars, patches ( using leather off- cuts) rotten teeth (using brown paper) and stumble made from bits of sandpaper were added.For the pirate flags the children researched historic pirate flags and used them for inspiration to design their own- most seem to feature skulls however! 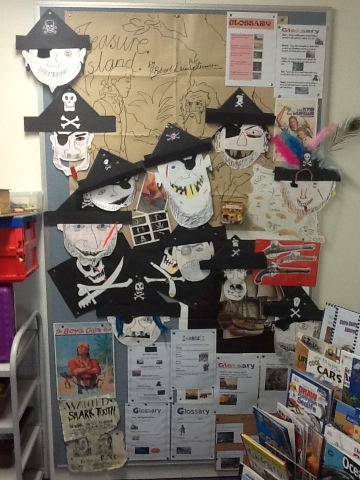 Labels: Note to self: Don't let the children put their pirate faces up on the display board. Yes it's the end of May so it's review time again. 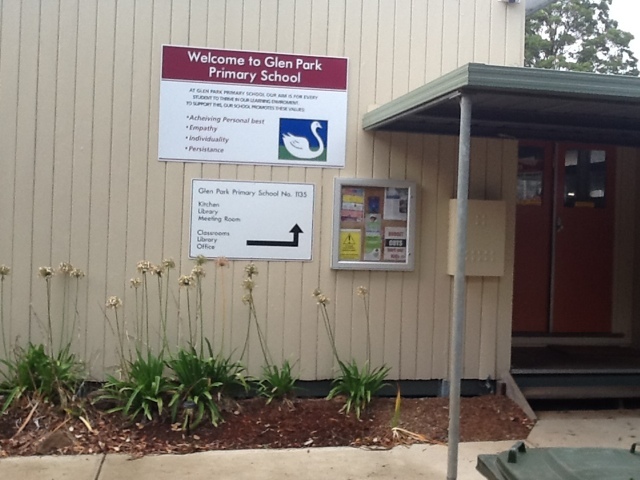 The 2012 review was signed off and completed and in keeping with our policy here at Glen Park of openness and transparency my review has been tabled for the school community to read if they wish. This year we are not being reviewed by our RNL (Regional Network Leaders) chiefly because their role has been 'phased out'. 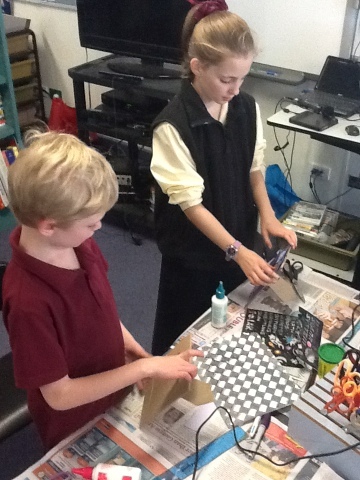 We are now responsible for our own reviews and are supposed to organise them with a peer. 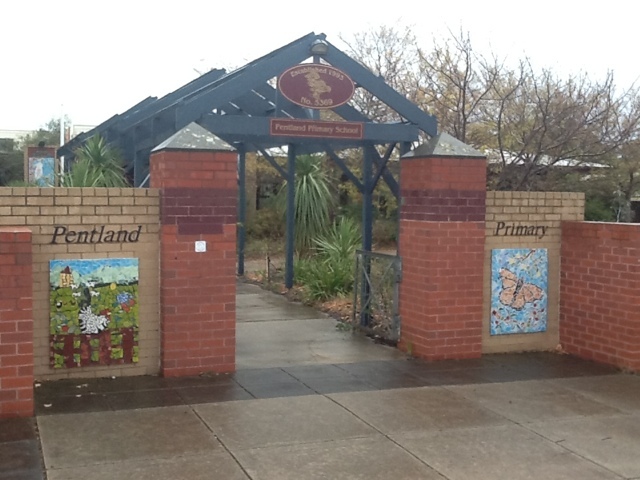 Myself and the principal of Pentland PS, Andrew Harrison got together tonight to develop our new reviews for 2013-14. We had a productive discussion about our plans and priorities for our schools and will complete our reviews and email them off tomorrow. It remains to be seen whether this approach is more effective than the 'big brother' approach to accountability. 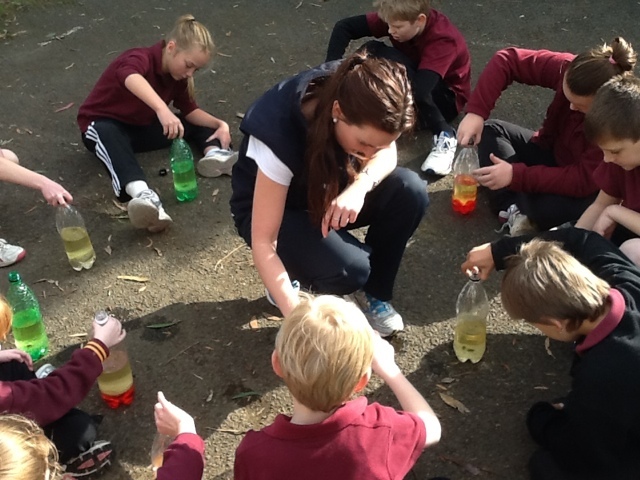 My student teachers made lava lamps today which seemed to work well. 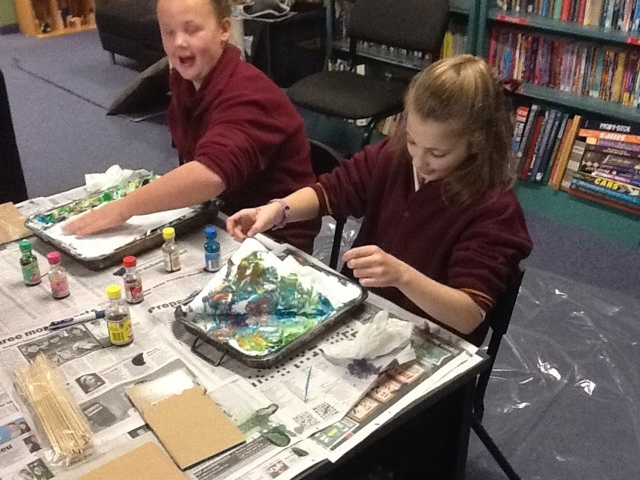 (Check Pinterest for how to make them) They were impressive young women who set a great example for my students ( confident, articulate and well-organised)especially with the girls. Today was their last day so I wish them well. 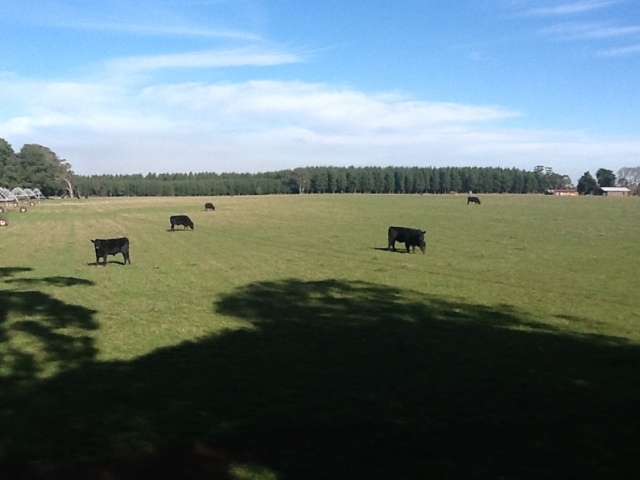 I've also added a photo of some of our neighbours. It was a nice sunny day today but only a few more days until winter starts.Brrrrrrrrr. Nice to have notched up over 2500 views and a new member. I'm currently finishing off a King Kong English unit which I should put up this weekend. 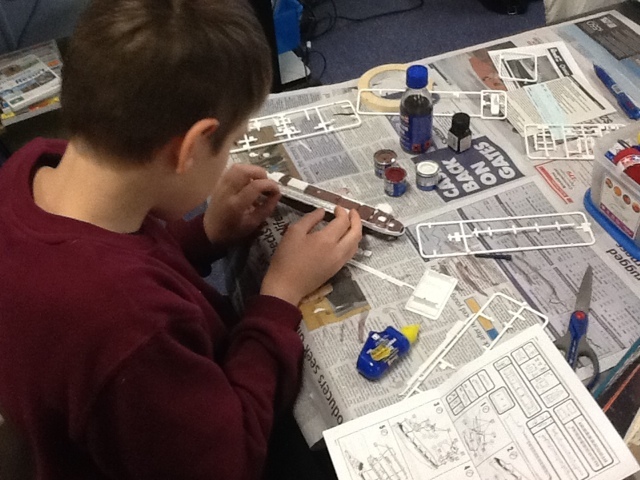 As part of our work on Jack Black and the Ship of Thieves I bought some cheap plastic model kits of warships and ocean liners for the children to build. They have done a great job with them. 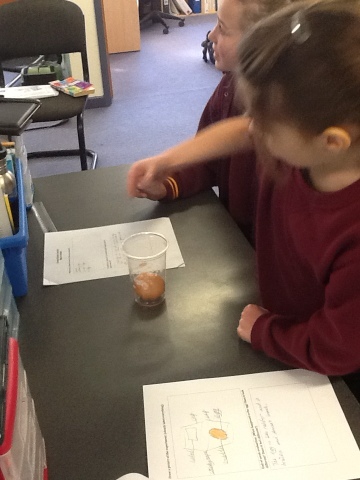 They also finished off their egg in vinegar experiment. 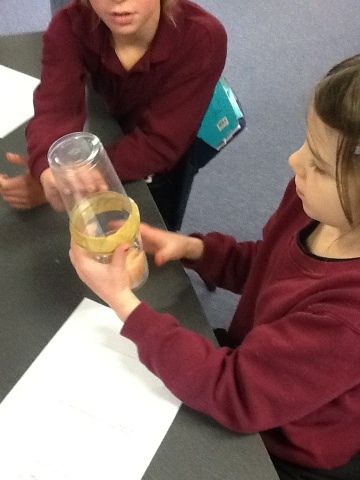 they were amazed that it became 'rubbery'. 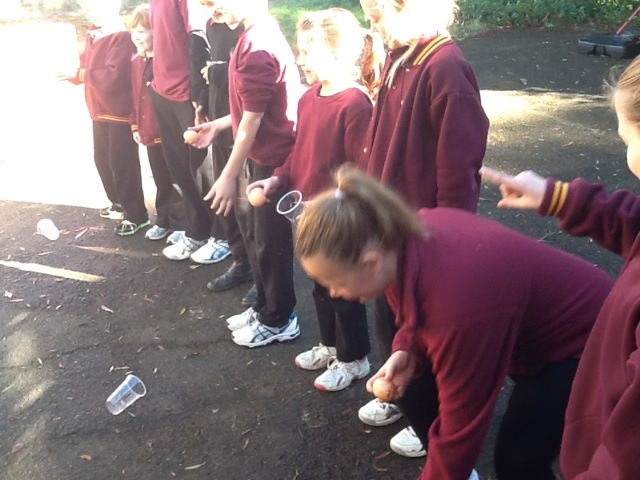 When they tested them outside they dropped them from too greater height and they burst but some were able to bounce there's. I have had a few inquiries recently about the size of my school. Well...it's small, just 10 students. 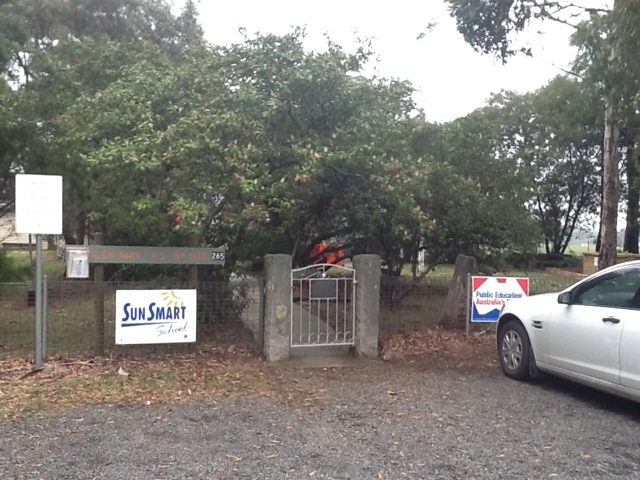 Glen Park is a small community east of Ballarat. 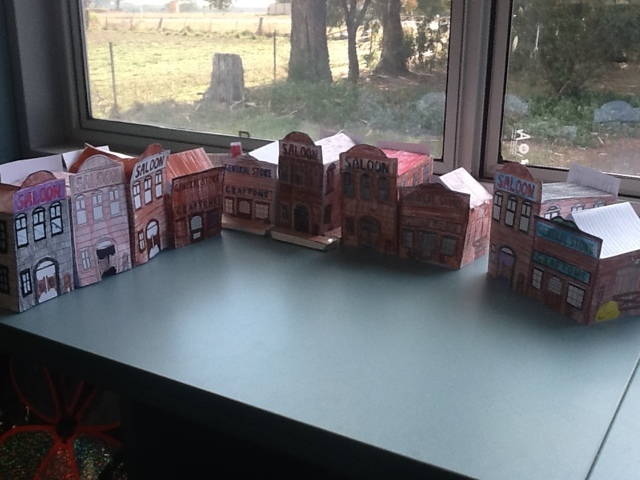 ( Founded after the discovery of gold in the area in the 1850s) It was started in 1870 ( There was a small church school there from the 1860s) when an acre of land was built from a local farmer, cleared and a one room wooden school built (It coincided with colonial legislation being introduced making education secular and compulsory) The school has been a one or at most 2 teacher school since then. 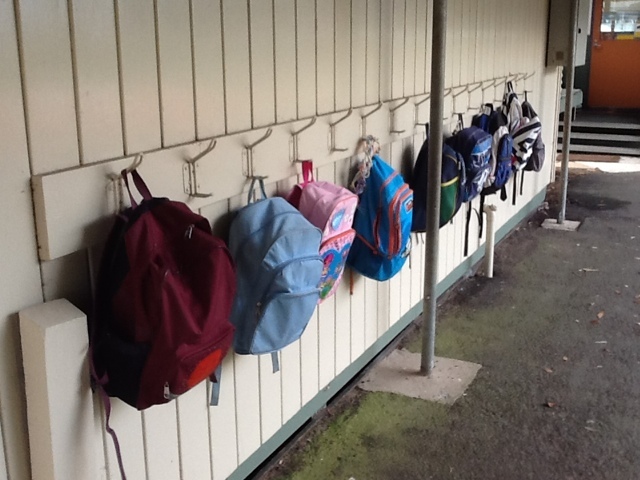 The photos below show our school bags on hooks and the old school building ( It replaced the original building in 1963) which features our school values and logo. 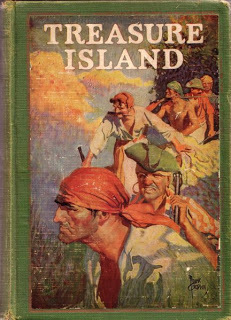 I've started reading Treasure Island as a serial ( It sits remarkably well with Jack Black and the Ship of Thieves) and I've just realised how much I love the book! What I love in particular is doing the voices. 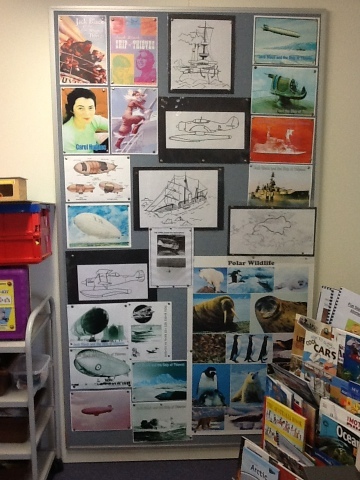 My Billy Bones, Blind Pew, John Silver and even The redoubtable Captain Smollett are 'works of art'! 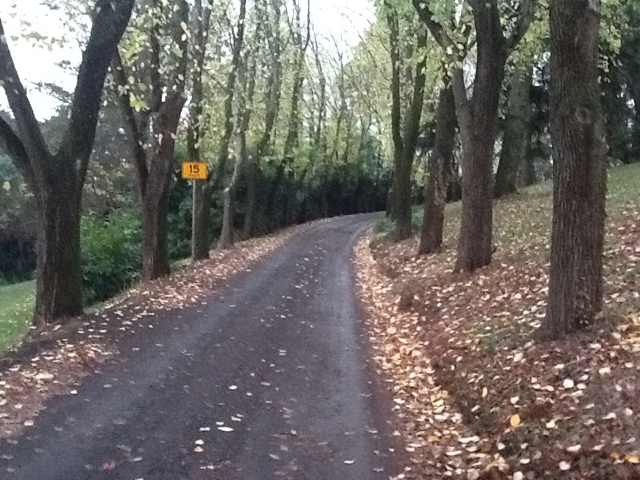 Below is a photo of the road outside the school this morning ( a sunny Autumn day but a bit cool) and some of my treasure map posters. Kids love making treasure maps! I had to get on the roof this morning to collect a ball ( Don't tell the Occupational Health and Safety people) and took a photo from up there to give you an idea of the school's surroundings. Next door will be potatoes ( eventually) and you can see a mulloch heap from a gold mine ( circa 1860s) and some wandering cows. 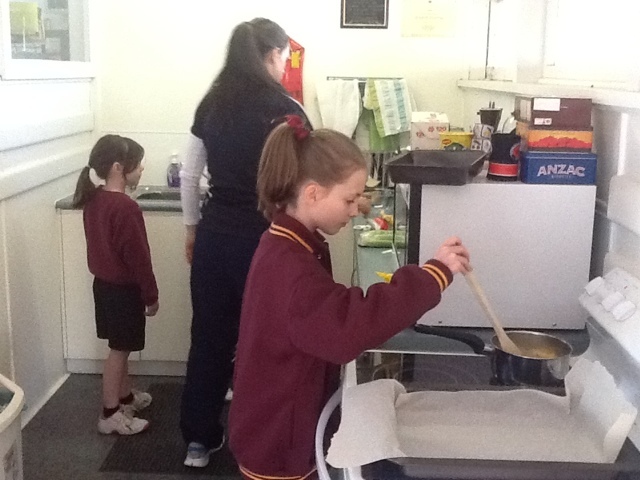 My student teachers today did the old egg in vinegar trick as a science experiment. 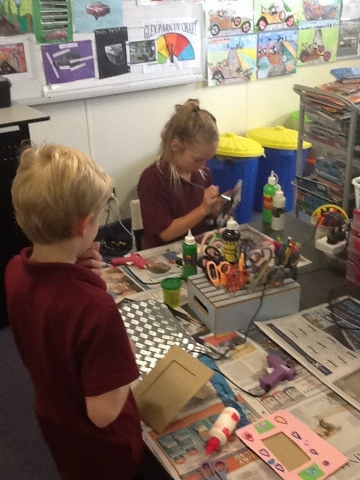 The children haven't seen it before ( They all predicted an explosion) so it will be interesting to see their response when they check on them later in the week. 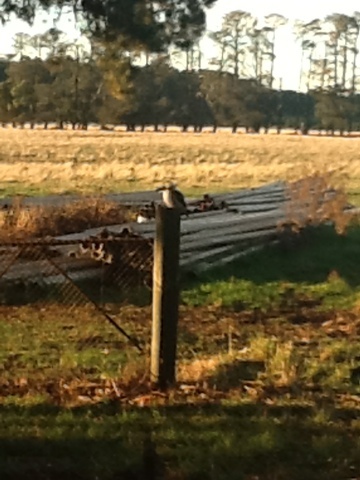 I went up to work this morning and saw those kangaroos again. I took some photos but again I was too far away, too slow and they bounded off.I won't publish the ones I took because they're rubbish but I'll try again and I'll be better organised and quieter. I love the fact that there is a paddock full of grazing kangaroos only half a kilometre away from my school every morning. 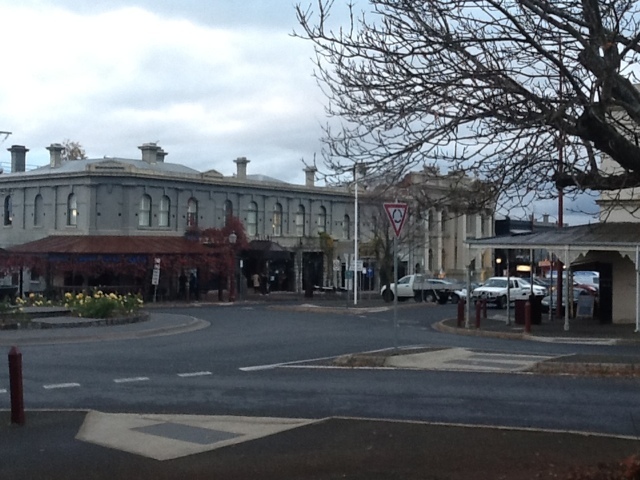 In the afternoon I took my son to Daylesford to film a football game for an opposing coach ( yes, he's a spy) I forgot how bitterly cold Daylesford is (even in Autumn) I lived there for a while so I should have remembered. 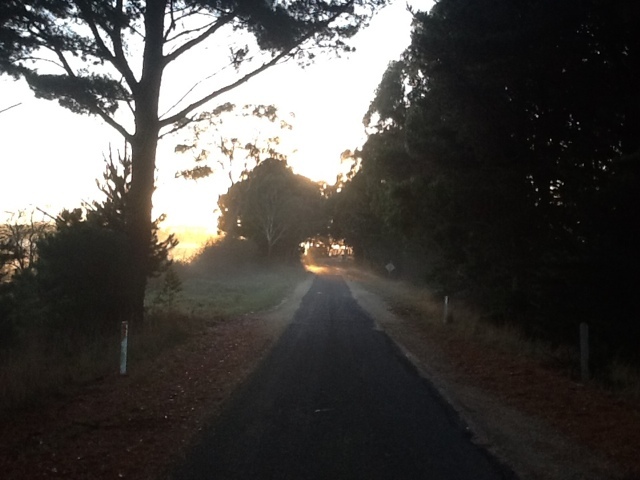 ( some photos of Daylesford below) When I got home my feet were frozen. luckily I was rescued by home made pumpkin soup. 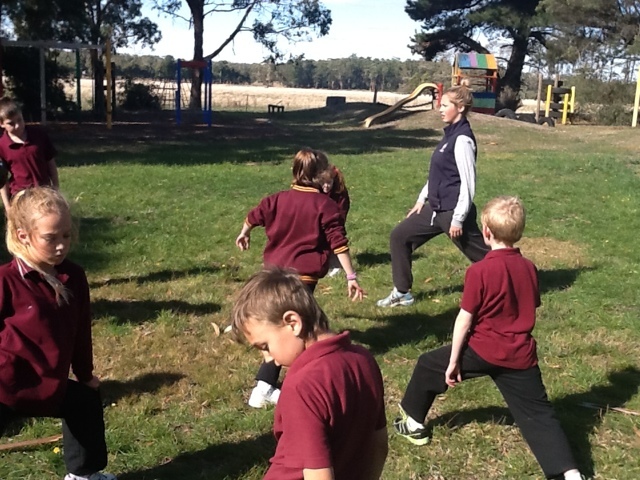 Below are some photos of the Wombat Forest in Daylesford. 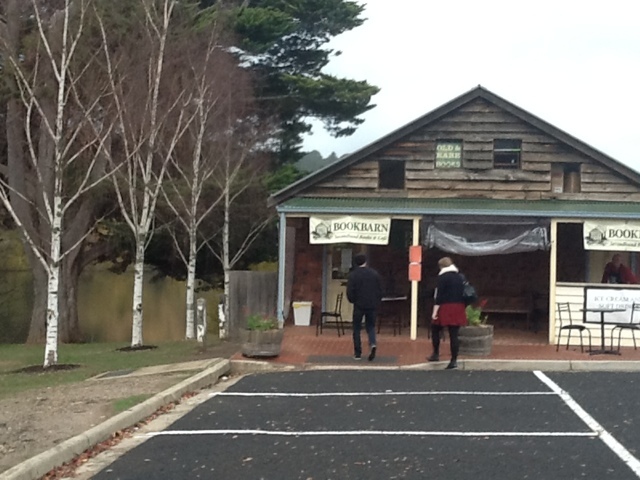 One of my favourite places- the Book Barn on Daylesford Lake and 'downtown Daylesford'. 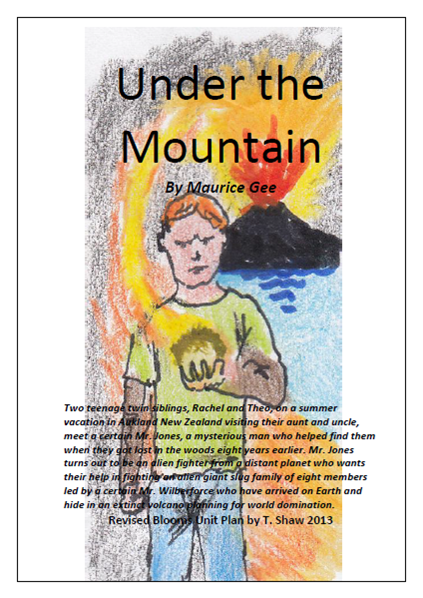 ‘Under the Mountain’ was written by the accomplished New Zealand author Maurice Gee in the 1970s. It is a fantastic science fiction story that will be the main focus for my science fiction theme in term three along with The Day of the Triffids and possibly A Wrinkle in Time. When I wrote my first book for a New Zealand publisher I developed this unit for the New Zealand market but they decided to go with a unit of Howls Moving Castle instead which I thought was a bit odd. I hope my New Zealand blog readers like this unit and that I’ve done justice to this wonderful book. I hope people like the new look. I was told the old look was too hard to read. Thanks to my daughter for setting it up for me. 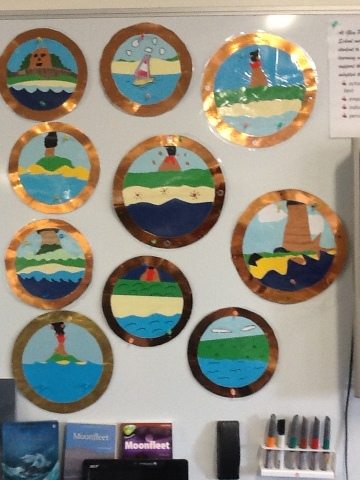 Next week we start our unit on 'Jack Black and the Ship of Thieves' by Carol Hughes. 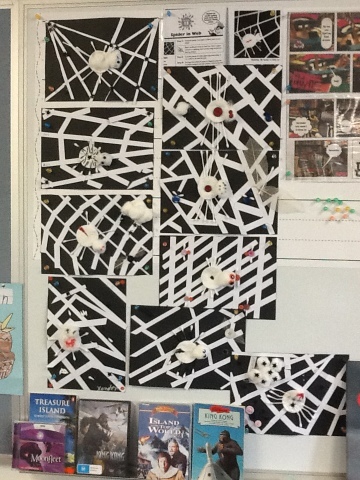 ( Refer to the photo of the book display below) I also have a new grade 6 student starting on Monday, as we are already half way through Jack Black I'll have him start on a short unit of adventure stories (Kidnapped and Treasure Island) which fit in well with Jack Black. He can read the graphic novel versions of the stories and watch the DVDs when he has finished those. 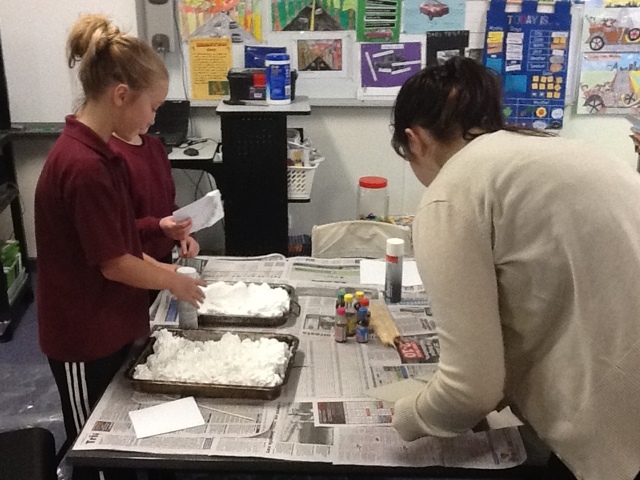 Today my student teacher made some shaving cream prints. 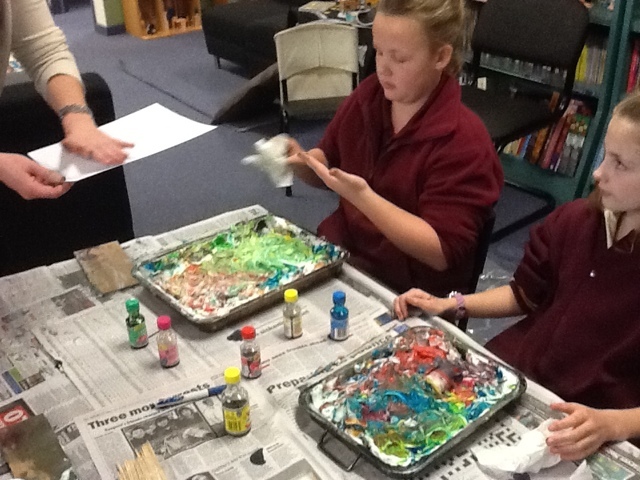 She put shaving cream into a shallow tray and then poured in vegetable dye. 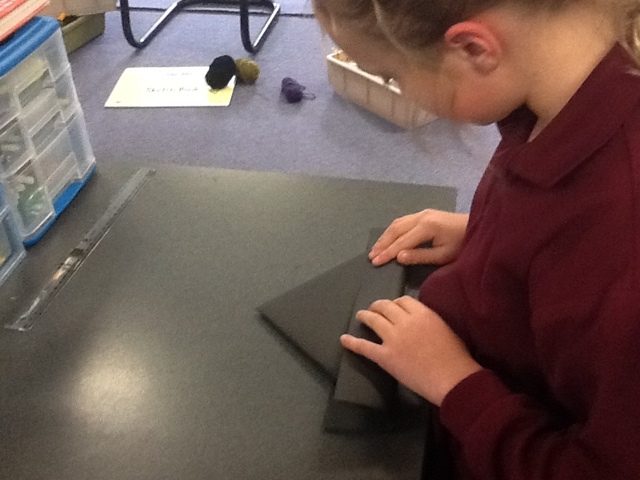 They used combs made from stiff cardboard to make patterns in the foam. 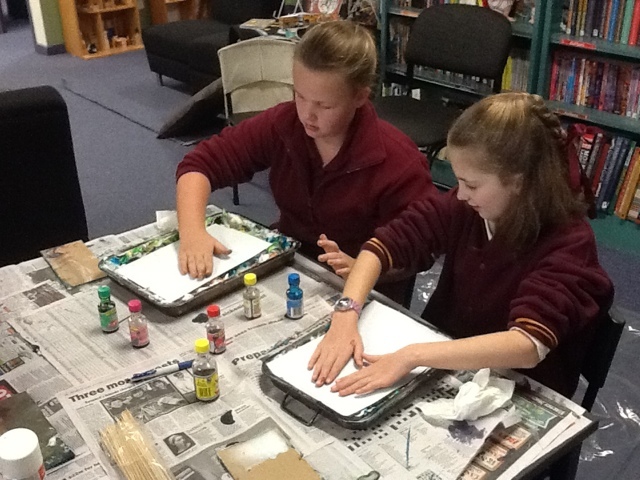 They then gently placed A4 paper over the top and pressed down carefully. They peeled it off and allowed it to dry. When dried it was laminated and the patterns, if they didn't smear them all so that they made a big brown/green mess ( which some did) turned out really well. We need rain at the moment. It has been a dry Autumn. We certainly got it today. 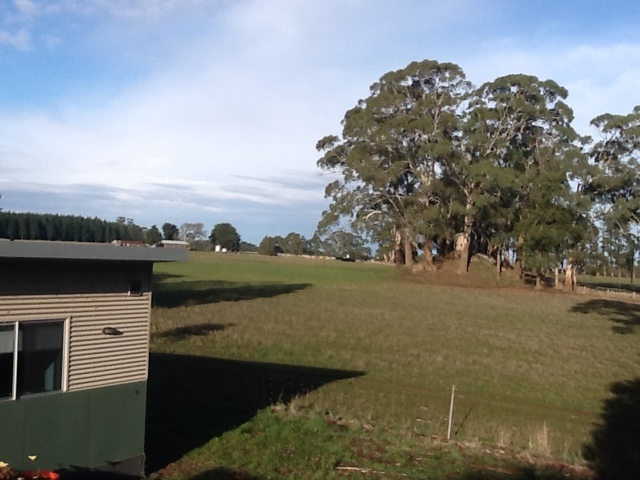 The sun poked out for a bit ( refer photo) We finished our NAPLAN tests today and I boxed them up for the courier. 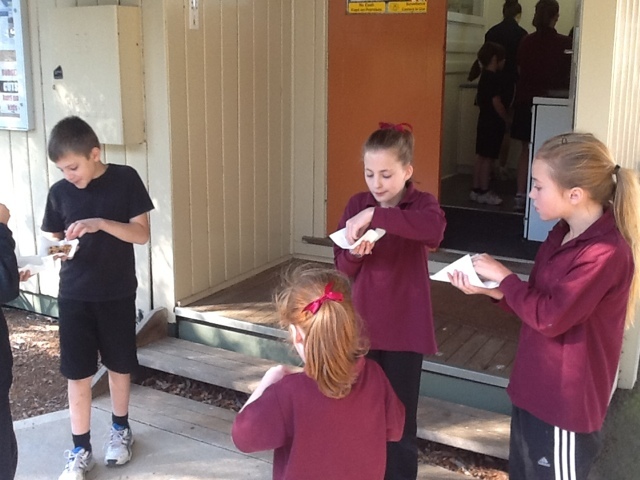 We also did our Attitudes About School Survey ( grade 5-6) students. probably not a good idea doing that after a 50 minute maths test? 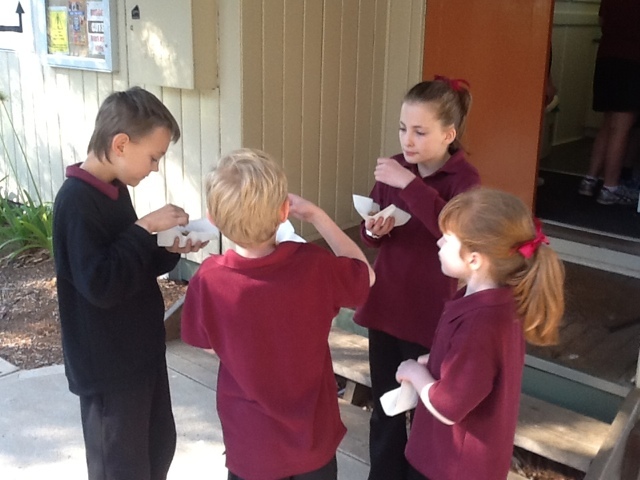 'Parents should be aware that a quality report by a professional teacher encompassing a range of measures over time, preferably accompanied by a face-to-face discussion, is a far better indicator of student capabilities than a NAPLAN report. Evidence of the damage of test-based accountability regimes is clear in the US and the UK. Subjects not tested, such as history and art, are marginalised and even those tested narrowed to improve test results. There is also evidence that such regimes create incentives to exclude students who some schools perceive as liabilities, further increasing educational segregation and inequity. 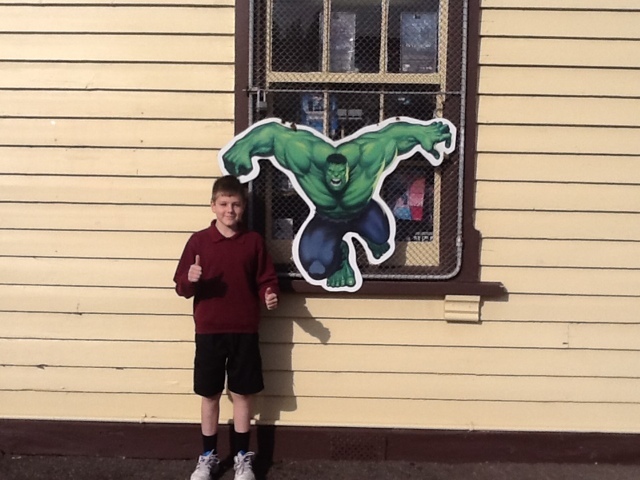 Here in Australia, NAPLAN is increasingly unpopular with teachers, creating as it does an incentive to value test results over the long-term educational wellbeing of our students. 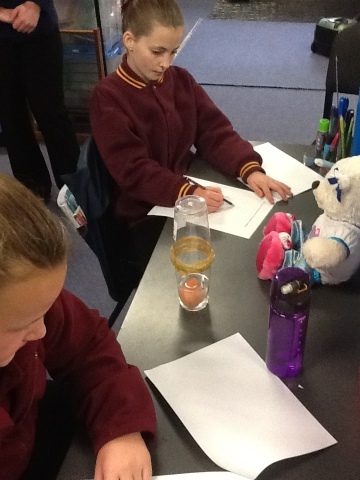 High standards of literacy and numeracy are a fundamental responsibility of schools and teachers. However, there is little evidence that testing accountability regimes such as NAPLAN improve these areas. 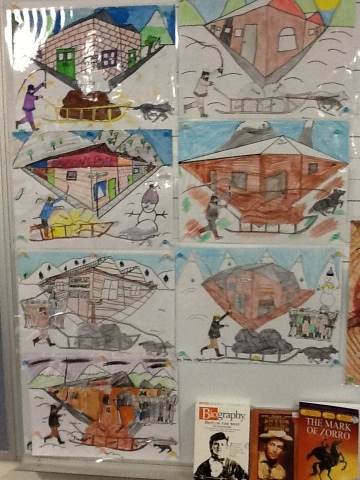 We're going to keep doing perspective drawing until they get it right! 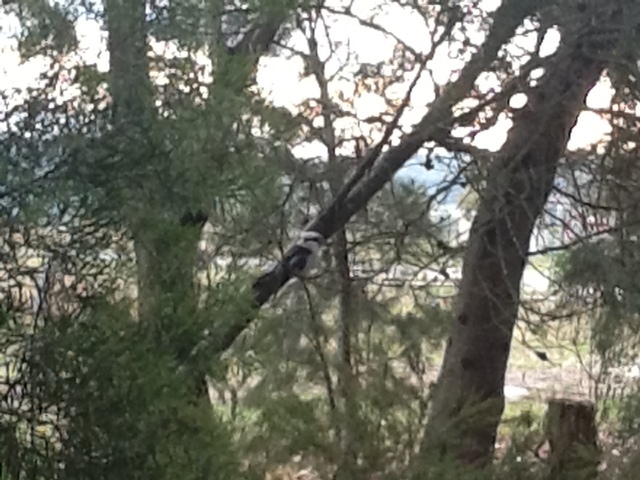 A friend says my blog is more about the weather and wildlife than literature. He might have a point. 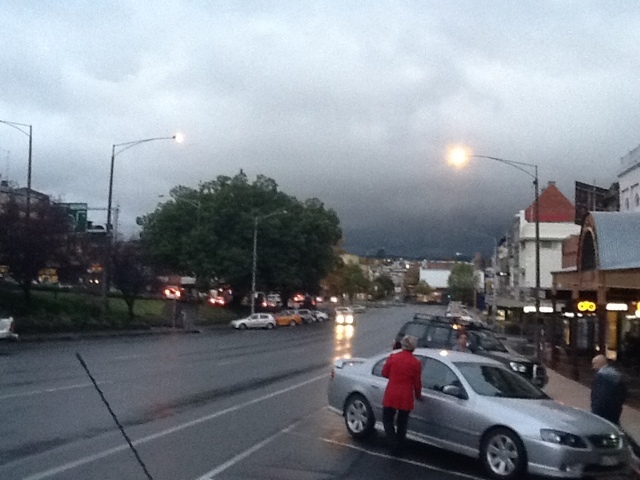 To add to that belief I've also added a photo tonight of storm clouds over Ballarat this afternoon. PS I've reached over 2000 views. Thanks viewers. Nice to see continued interest from the US even when many of you are off on holidays ( I mean vacation) and from New Zealand. ( I'll put something up for you guys tomorrow) Feel free to become a 'follower' and leave comments. 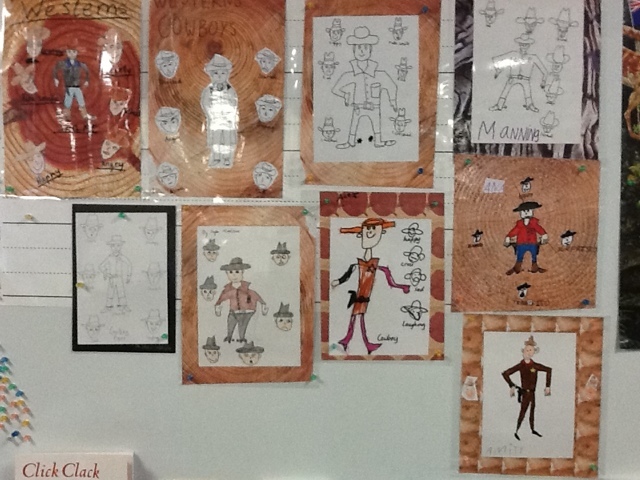 Below are photos of a drawing task we completed this week of cowboy sketches.I found a how to draw a cowboy activity off Google that was simple for all my children to attempt. I also asked them to draw cowboy faces using different expressions ( sad, angry, surprised etc) using some ideas from a diagram of 'facial expressions' again found via Google. 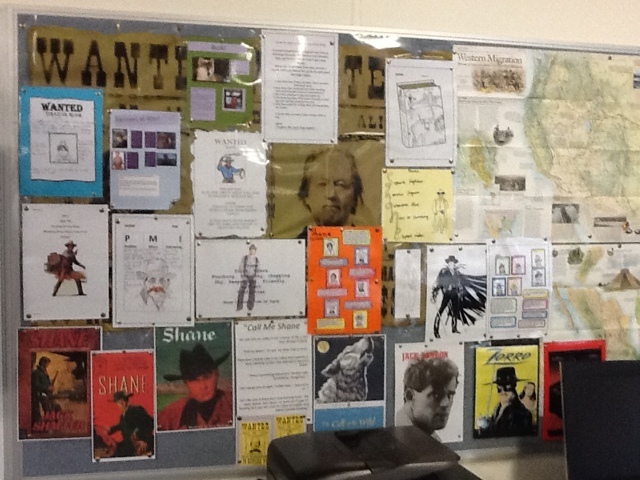 I also photographed our Westerns display board. After a few days of mild weather last week we have had our first really cold day for the year here at Glen Park. It was overcast, wet and cold all day. I prefer the approach they take in Finland where they randomly select a few schools to do the testing and the results aren't publicised. 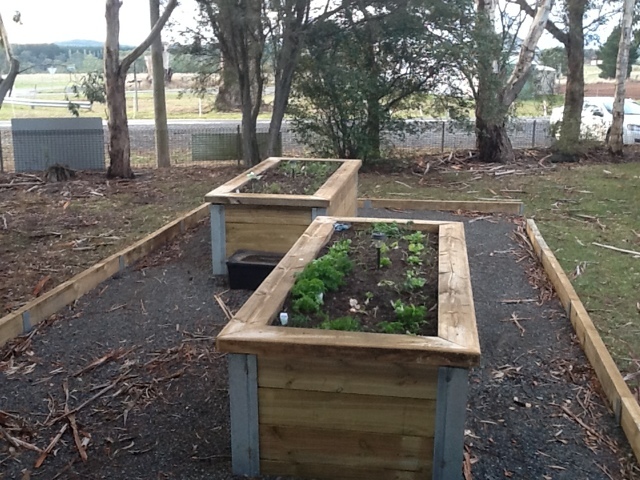 Below are some photos of our garden beds (Our veggies are starting to 'take off') and my kookaburra buddy who preferred the shelter of our trees rather than his usual fence post. PS A special welcome to Brandee who has joined my small but special group of followers. 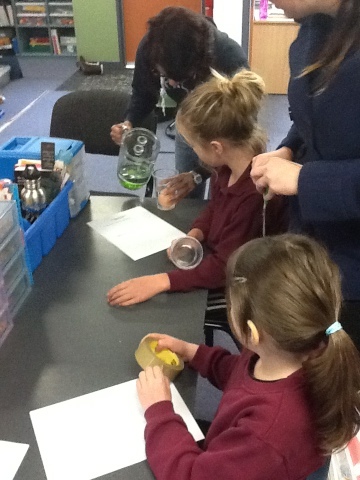 Today our 2 student teachers made a 'health bar' with the students as part of a lesson on good nutrition. It was held together (actually it broke up a bit) with honey and butter and contained; rolled oats, coconut, chopped apricot, sultanas, paw paw and rice bubbles. The kids loved it. 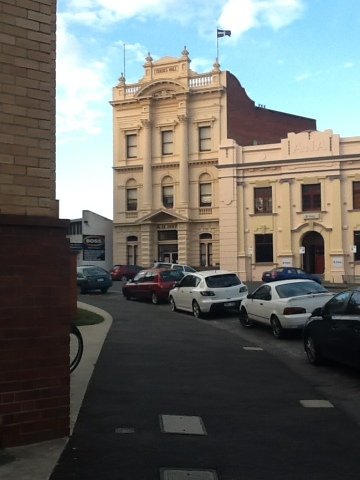 This afternoon I attended a meeting at the Ballarat Trades Hall ( an historic building on Camp Street in Ballarat - pictured below)to ratify our new Enterprise Bargaining Agreement. Not an ideal agreement but probably the best outcome given the economy and current government policy. 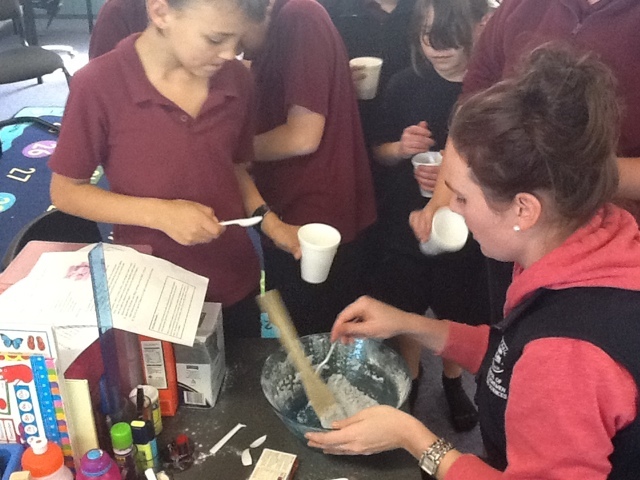 Our student teachers today created bath bombs for science with the children and also did some stretches,played four square, giants treasure and practiced their skipping. 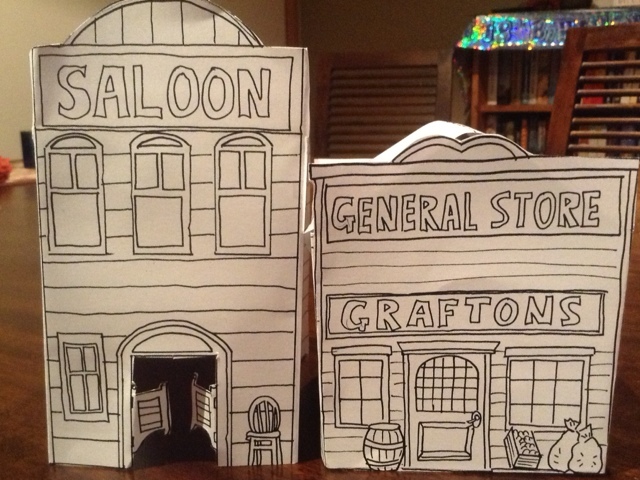 We also made some paper models of Grafton's saloon and general store ( I have put the BLM for these on TPT )after finishing Shane which we read as a serial. 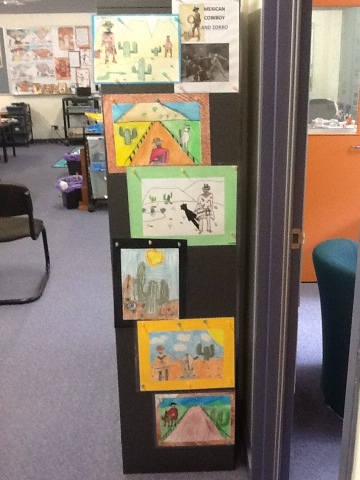 We have just finished reading The Call of the Wild and we are now reading Zorro.